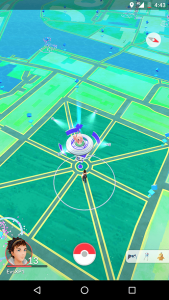 Update: So, Niantic has been hard at work in the few weeks since I first wrote this piece. 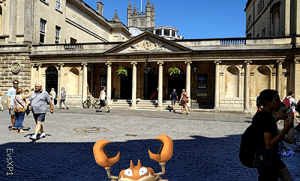 I’ve gone back to the poke-board to give you an update on the latest tips, tricks and catching locations for the fine cities of Bristol and Bath. The bell has been rung on AR gaming for real. Niantic (and The Pokemon Company) have made an absolute monster with around 46 million people trying to log onto servers every day. Obviously, TechSPARK had to get in on the action. So I’ve been running around Bristol and Bath, in the height of summer, looking for great places to catch the little blighters. First, for the uninitiated, I’ll go through a few little handy hints that might help you on your journey to becoming a Pokemon master. 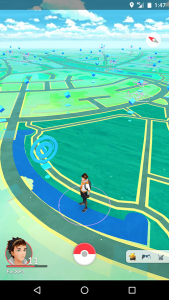 Normally you would be able to track pocket monsters using the game’s tracking feature, but, unfortunately, right now – it’s not working: the small team at Niantic has had to make changes to the tracking system, and they’re trialling some variants now. 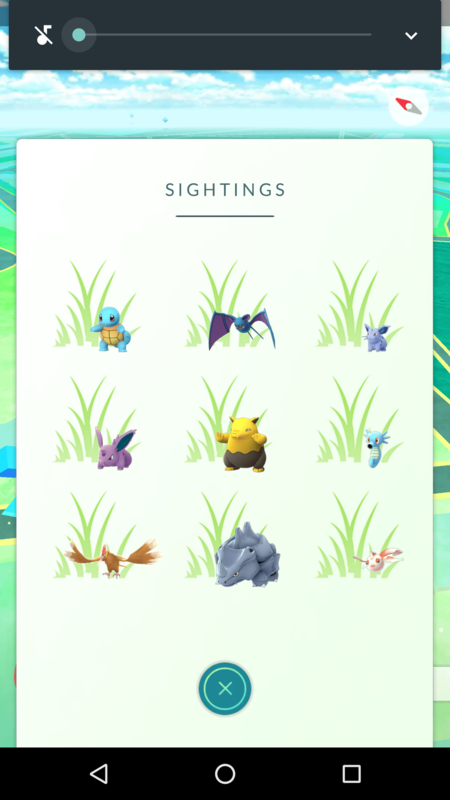 You probably have the version that shows little tufts of grass behind the Pokemon icons in the tracker; these are referred to as “sightings”. This means that those particular little chaps are within 50 meters of your location. That’s a radius remember, so if you’re next to the river make sure you’ve got a dry bag and a Bronze swimming certificate. As well as the sightings, though, we may be seeing Pokemon on our tracker with the image of a particular Poke-stop. Poke-stops are the blue icons you see on your map: click one and spin the central image to get free goodies like potions, Pokeballs and eggs. This central image is what you’ll see behind the Pokemon, and it’s where you’ll need to get to, to find the particular critter you might be after. 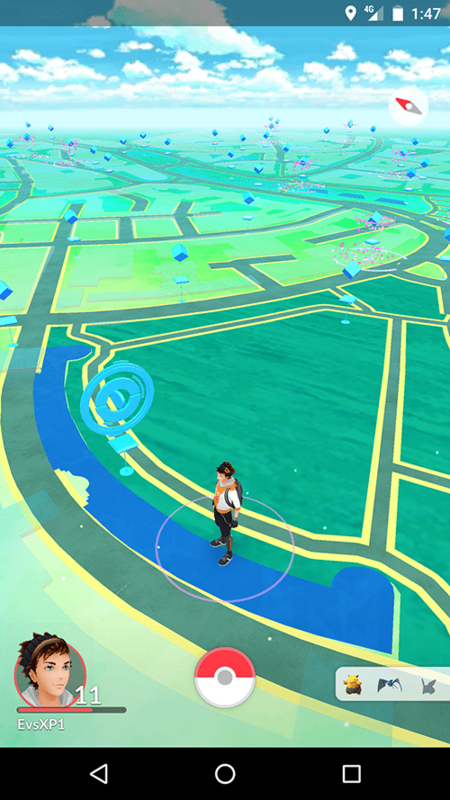 Tapping on the Pokemon/Poke-stop icon in the tracker should take you to the map and zoom in on where the Poke-stop is, they’ll be relatively near to you. Here’s the rub, though, not everybody is seeing these trackers. 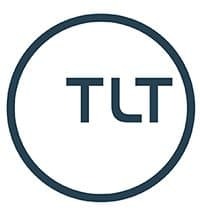 Niantic has said it’s testing things out, some people have both, some have just one of the two, and a fair few of us have neither (although some people have gained the feature after updating, so check your app-store). So we’ve no way of knowing yet what they’ll land on. It’s simple either way, though. The basics of tracking system are still the same, though: in the bottom left of the screen you will see 3 small icons with Pokemon on them, it goes 3-2-1, so the furthest to your right is your nearest monster (if you can see the Poke-stops in the tracker – it doesn’t seem to matter with the “sightings” feature) . 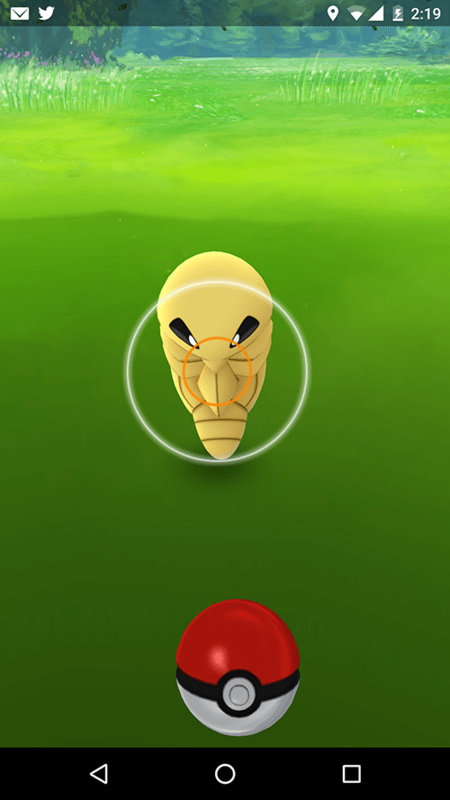 When you press the icons it’ll come up with a larger screen showing up to nine Pokemon near you. Nearby Pokemon: Ooh! 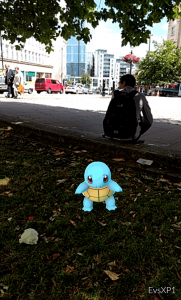 A Squirtle! This works like a phone dial 1-2-3, 4-5-6, 7-8-9. So, the opposite of how the previous screen works, which is why I’m telling you. Once you’ve found a Pokemon, click on it and you’ll jump into the catching game. This where the AR really shines, as you can see all the guys you fell in love with about 18 years ago, in the real world. To catch one, you’ll see a circle around the Pokemon that will gradually get smaller, so try and throw your ball at its smallest point for an increased chance of catching it. Hitting it in the middle of the circle also ups the chance, and nets you a chunk more XP (experience points). Spinning the ball before you throw should net you a “curveball” which is supposed to up the chance of a successful catch. The circle will be coloured, on a gradient from green to red, with green being easy and red being hard. 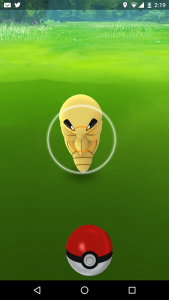 Turning off the AR, in the catching screen, will make your Pokemon easier to catch. That’s what I do, only turning the AR on when I see a particularly fun place for a photo, or when I’m taking pictures for this article. You can also pick up eggs at Poke-stops. Hatching an egg, requires putting it in an incubator (just click on the egg, and choose an incubator), and then start walking. There are three types of egg, 2km, 5km, and 10km, the longer it takes to incubate, the rarer the Pokemon that’ll pop out. You can’t really cheat at the walking unfortunately, as the game uses your phone’s pedometer, and GPS to work out your distance. Jump in a car and you’re going too fast and it won’t count towards your distance walked – although catch a bus at rush hour in either of these fine cities and you’ll be moving plenty slow enough. There are two types of egg incubator, the one you’re given from the get-go, that has unlimited uses, and 3-use only types that you pick up from levelling (and possibly Poke-stops, there’s some debate). It doesn’t make that much of a difference, but I’d recommend only using the limited use incubators with larger distance eggs. More bang for your buck. Then there are Gym battles. It’s basically button mashing, find a Gym on your map (they’re big towers with Pokemon on top), and click on them when you’re close enough. If you have similar CP (combat power) Pokemon to those left at the gym, you’ve got a chance. Just keep tapping on the enemy Pokemon ‘til they go down. 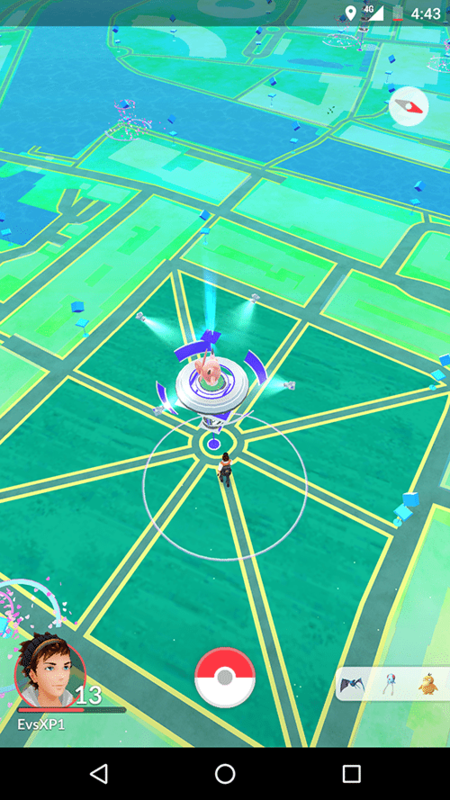 When you reach higher levels, Gyms are a necessary addition to your XP gaining profile. While you never have to battle them, you’ll probably gain more experience from them than catching, as you’ll be running out of new critters to confine for eternity (and so, the XP boost for catching something you haven’t before). Once you’ve taken a Gym you can collect gold for installing a Pokemon there. This is called a defender’s bonus. Now, you can collect 10 gold, per Pokemon in a gym, per 21 hours, but… in fairly populous places there are going to be a lot of players, so the likelihood of keeping that gym, for that long, is low. So unless you’ve got a very, very strong Pokemon, my advice would be to hit one, two or three gyms close together and cash out immediately. It’ll take a while to build up to useful spending money, but you are, at least, able to. The exception, of course, is if you can get a group of teammates together to level up a gym (constant training battles), and put all your best Pokemon in it. Then you’ve got a chance of lasting a day or two. So, we know now, how to basically get around and do things in the game, so where are the best places to get your favourite guys in Bristol? As a general rule, places with a higher population, and those with more players in the area, have more Pokemon. Which makes sense, but probably means a bus ride if you’re out in the sticks. 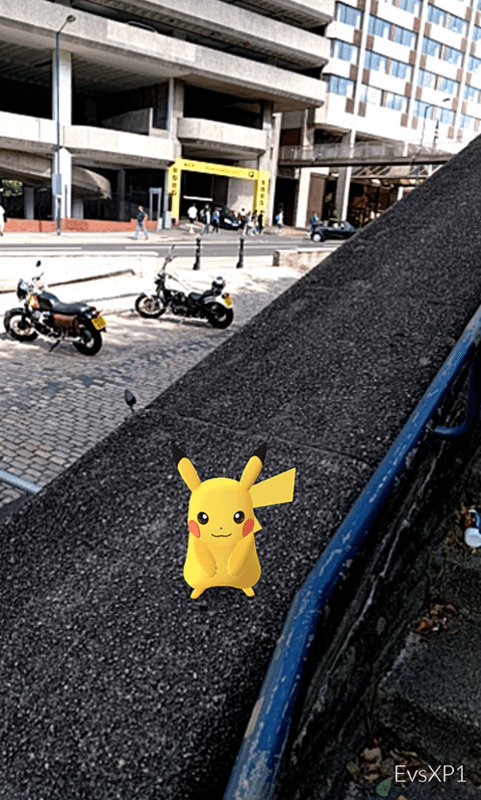 Poke-Stops, where you can pick up free items and Pokeballs, are mainly based on landmarks, whether that’s a building or a Banksy. In the town centre, you’re never more than five minutes away from one, if that. 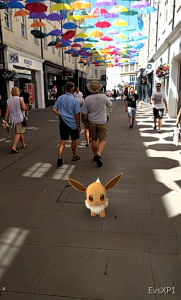 Poke-stops can be “lured”, which means lots of lovely Pokemon will come right to you, so try and find one near your favourite pub (there’s one near the Smoke and Mirrors and a couple by The Orchard). That said, Niantic has gone and changed a bunch of the regular locations for Pokemon, which won’t affect you if you’re just getting in to it, but is worth thinking about. There are, as I see it, two possible reasons for this. 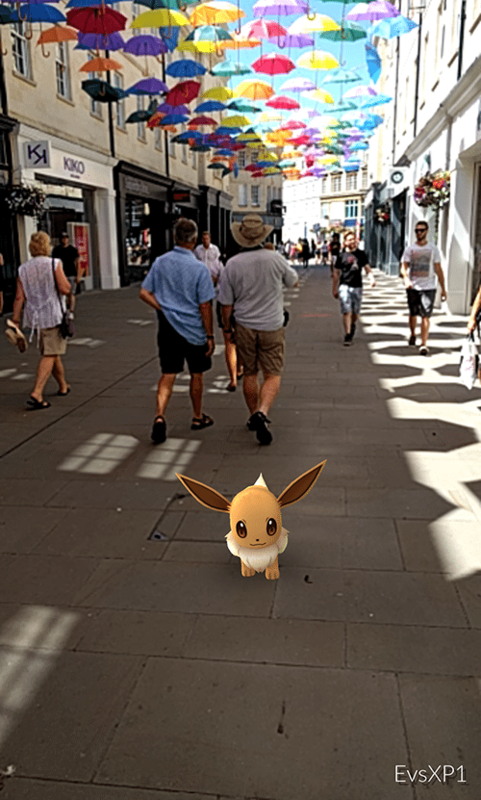 One – too many rare Pokemon are easy to catch and evolve, so it’s altered the balance of the game (so these locations will now remain constant). Two (and what I personally think) – is that it’s rotating Pokemon locations, so that you needn’t have to travel the world to find everything in the Pokedex. Which I think is nice and fair, but does mean I’ve had to update this article. Thankfully, there are still plenty of Scythers in Greville Smith park in Ashton, and I’ve even been able to catch a few Exeggcutes there since the update. 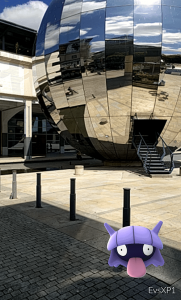 Sporting locations like Ashton Gate and the Memorial Stadium seem to harbour Voltorbs these days, a change from the fighting Pokemon you used to find. You’ll find Pidgeys, Rattatas, Spearows and Drowzees everywhere. Literally, everywhere. But rarer Pokemon aren’t too hard to find. Head over to College Green and you’ll see a bunch of lovely Poke-stops, usually helpfully lured. That area seems to have plenty of Nidorans, Rhyhorns, Clefairys, Staryus and Horseas, as well as their evolved forms. This area, specifically, just off to the side at the Victoria Statue, where you can get in between four Poke-stops is home to a few rare guys. I caught a Machop, a Dratini, a couple of Jynxs, a Seel, and, the piece de resistance, two Squirtles! I saw four, but only caught two. So anybody desperate to get enough to level up to a Blastoise could do worse than hanging around the area for a while. I’ve managed to catch three Mr. Mimes (Europes region-specific Pokemon), on three separate occasions on the roundabout between Temple Way and Temple Gate. Castle Park, however, is a sad story. 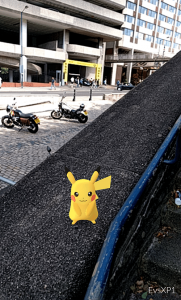 Formerly the home of Bristol’s Pikachus, it now seems to be filled with Ekans, the snake type Pokemon – famous for not being as awesome as Pikachu. It’s still a hotspot for players, though, and more players mean rarer Pokemon show up. I’m still able to occasionally catch Dratini’s and Geodudes, Machops and Squirtles around there, and I’ve had plenty of people excitedly tell me that’s where they caught a Dragonite. I found a Magmar in Hengrove Park. 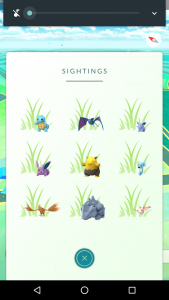 I’m still struggling to find a reliable place to find Pikachus now, though, I had one pop up on my tracker in the center the other day but couldn’t find it. There do seem to be less regular spawn sites since the recent update, but I’ve caught an Aerodactyl twice right next to Mud Dock. The last bit of advice I’ll give for Bristol players is to go to Temple Meades. Aside from having three Gyms within walking distance, the huge amount of people going through there seems to make the Pokemon spawns excitingly varied. No Pokemon seems to spawn regularly, but I’ve got Ponyta, Magnemite, Magneton, Geodudes, Squirtles and a Snorlax all right there between the Engine Shed and the main station. 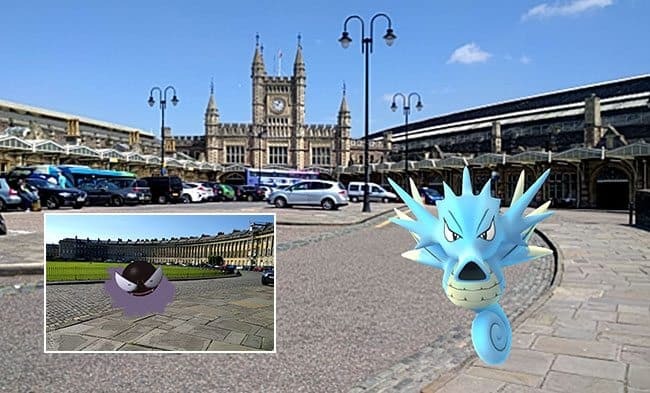 Bristol is pretty good for all forms of Pokemon as it has a nice range of terrains, walking through Bedminster, for example, I’ll see everything from a Meowth to a Staryu to a TentaCruel (once). I’ve not seen a Charmander or a Bulbasaur anywhere around yet, but I’ve been told there’s a regular spawning point for the former near the tennis courts in Page Park, Staple Hill. Queen Square, where there’s also a Gym, netted me a Bellsprout, an Abra and an Exeggcute. And if you are serious about your Pokemon Go, you can connect with friends and compatriots on the Pokemon GO Bristol Facebook Group and Reddit. OK, so I don’t live in Bath but I went walking around in incredible temperatures, just for you. First stop, is the town centre, which seemed to me to have a disproportionate amount of Krabbys and Paras roaming the streets, which is no bad thing for levelling up. 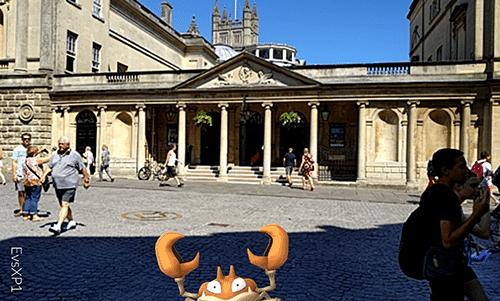 It’s a bit harder to tell what’s what in Bath, especially since the update, because I’ve only played there a few times. I’ve caught an Electabuzz by the bus station, and by the cathedral since the update, while I got a Rapidash (!!) in Victoria Park, just past the Skate Park. Victoria Park, for me, is still the place to go. I’ve seen lots of exciting things pop up in my tracker, and had a Machoke run away on me there. It’s a big place, but there seem to be enough people around for plenty of Pokemon to pop up. Always go where people are, Dratini should be rare, but I’ve caught a few in Bath town centre, three of them near Southgate. 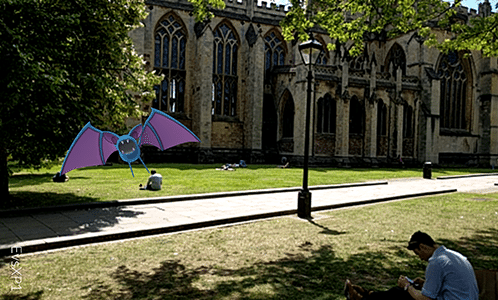 In Bath’s Queens Square you’ll find a few Poke-stops near each other , so you can rest up on a bench, with a few lures around you and catch to your heart’s content. In the brief time I was there I managed a Ryhorn, a Venonat and a Kakuna but I saw a Lickitung was nearby, although I wasn’t able to track it down. 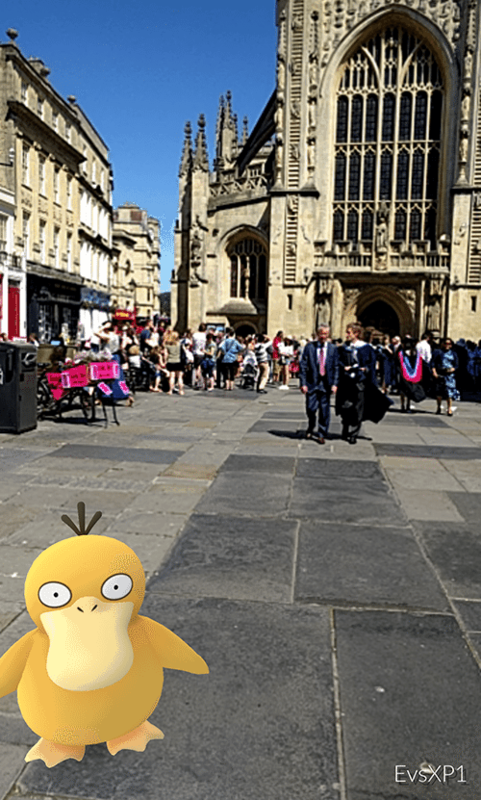 Around the Roman Baths and the Bath Abbey I found a few Psyducks, a Horsea and a couple of male Nidorans. While walking up towards The Circus I was beset by Weedles, Caterpies, Kakunas and Metapods. I did see a Tangela nearby, but again couldn’t actually find it. 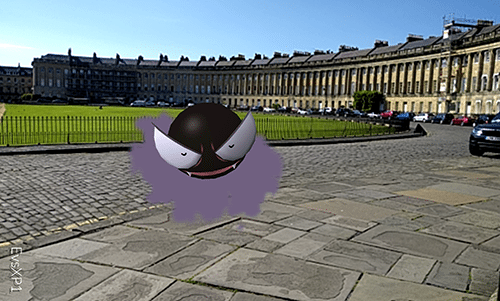 Then I went over to Royal Crescent, where I found a wonderfully placed Gastly, while several Nidorans popped up on my “sightings” tracker. Heading into Victoria Park, where there’s a couple of Gyms, I immediately saw a Machoke, a Ninetails and a Vulpix in my tracker. 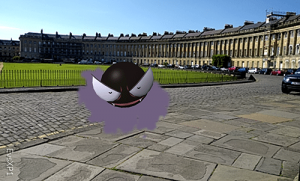 I couldn’t find any of them, and so, while I cursed my luck in Bath, I picked up a couple of Pidgeys and Zubats on the way back to the station. The journey over, along the river netted me a Fearow and a Poliwhirl, which kind of made up for it. 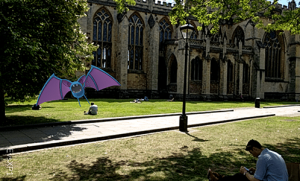 There are weirdly few Poke-stops and Gyms in Bath compared to Bristol I noticed, of course the population is lower, but from my place in Bristol (not in the centre), I’m only about a 10-minute walk away from about six Gyms and umpteen Poke-stops, although I saw several Pokemon there that I hadn’t seen in Bristol yet. With the cities so close, any dedicated Bathonians or Bristolians may well find it worth the trip. 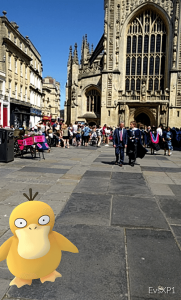 You can also connect with your friends and share local Bath knowledge on the Pokemon Go Bath Facebook Group. I will end though, with a little tip about levelling. At a certain point you’ll find or get given a lucky egg. Use this and you’ll get double the XP you normally get for half an hour. Use this at a time when you have a ton of stuff to evolve – collecting Pidgeys, Weedles and Caterpies is a good idea, as they only cost 12 candy to evolve. I got 100,000 XP the other day by levelling up a ton of each, along with others that I’d kept waiting, and timed it so a couple of eggs would hatch at the same time. The higher your level, the better Pokemon you’ll find. Let us know where you’ve caught your great Pokemon on Twitter @TechSPARK, or show us on Instagram. You may like: How do I become a games designer?